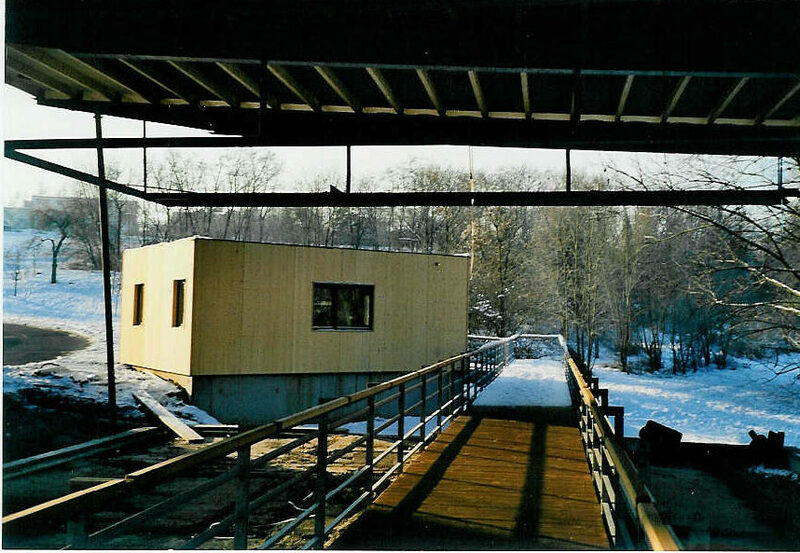 History of Construction Work – KZ-Gedenkstätte Vaihingen/Enz e. V.
When in November 1990 the association Initiative Concentration Camp Memorial Vaihingen/Enz e.V. (now Concentration Camp Memorial Vaihingen/Enz e.V.) was founded, it was the main goal, to put up a visible sign, an encounter centre to keep the remembrance of the camp alive and to sensitize the following generations for the historical subject. 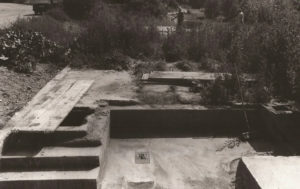 In the middle of the 1990s the considerations focused on the only remaining foundation of the former disinfection hut that is on the authentic historic site for the commemoration. 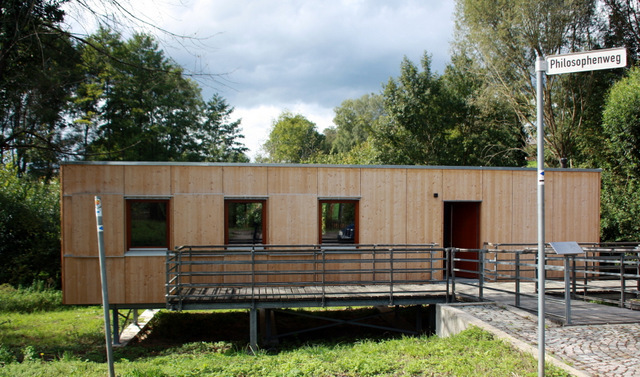 The “Baden – Württemberg State of Office for Protection of Historical Monuments” displayed this site as a historical monument. After its reconstruction and conservation it was intended to erect a hall, the present memorial, on the foundation. And directly above the foundation an accessible catwalk was to be built. The town council had already given permission for the construction work in 1995. 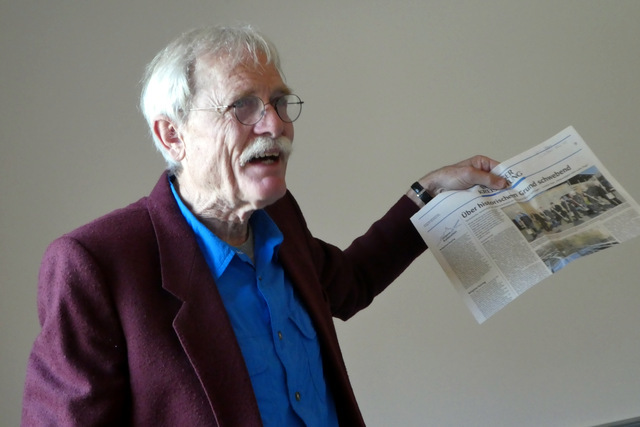 In the newsletter No. 17 to our members dated August 11th, 1998 it was expressed like that: “The construction of our memorial should be started in autumn. 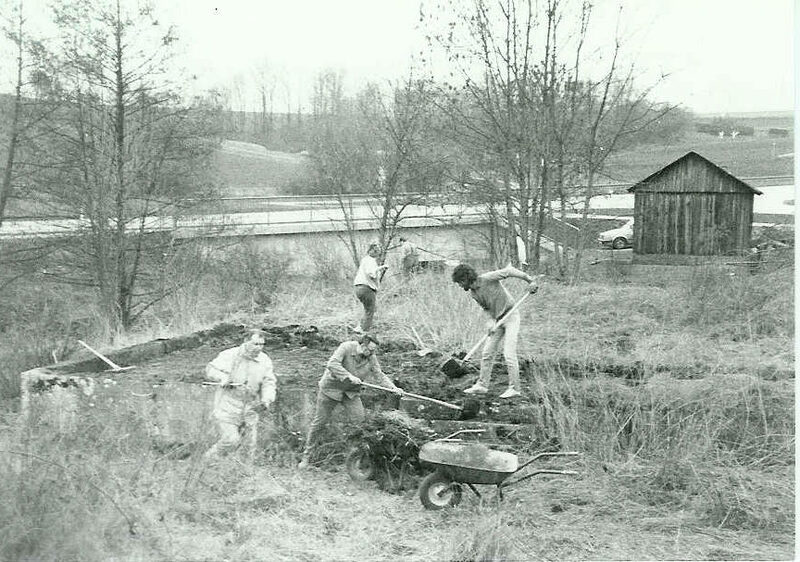 The members are asked to place themselves at the disposal on the given Saturday dates for clearing work and diggings for foundation ditches.” Within their bounds of possibility the members of our association carried out necessary preparation work. In spite of the strong commitment of the members of the association there were difficulties also in planning and therefore enormous delays. But around the turn of the century a final concept was developed and the task for a professional design was given to architect Andreas Lippeck from Vaihingen/Enz. 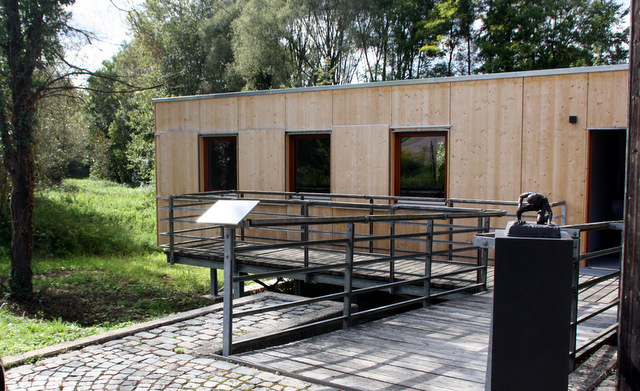 The concept included modules – the information office with a model of the camp and a timeline of the history of the camp, the media installation above the foundations of the former disinfection hut and the seminar and archives room. At the same time under the direction of media professional Thomas Bartsch “Brainwave” – a firm situated in Stuttgart – developed the video collage which should provide an emotional access to the topic in the Black Box. 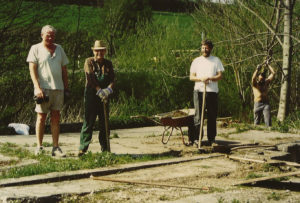 In 2001 construction work on the foundations and the visitors and information office began. 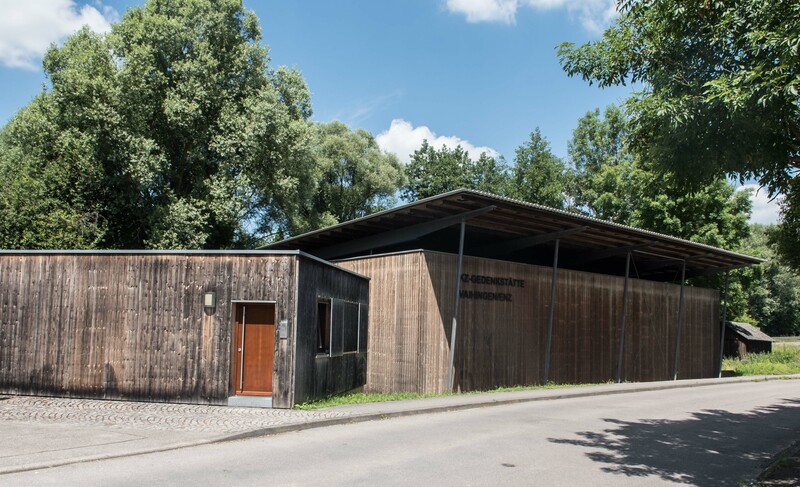 Simultaneously invitations of the City of Vaihingen for a new and bigger meeting of former inmates of the concentration camp were sent out. On April 7th, the day of liberation, when survivors stayed in Vaihingen one could be certain that the memorial would be completed. Clips of the video collage were presented to the visitors in the “Peterskirche” and the survivors favored our concept and so encouraged us to go on with it. Exactly one year later these construction works could be completed and the first stage of construction could be opened. 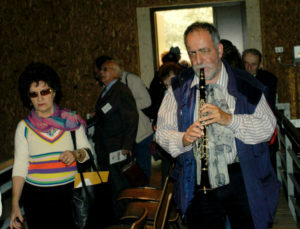 Some hundred visitors followed the ceremony. Construction works on the memorial were going on for three more years. 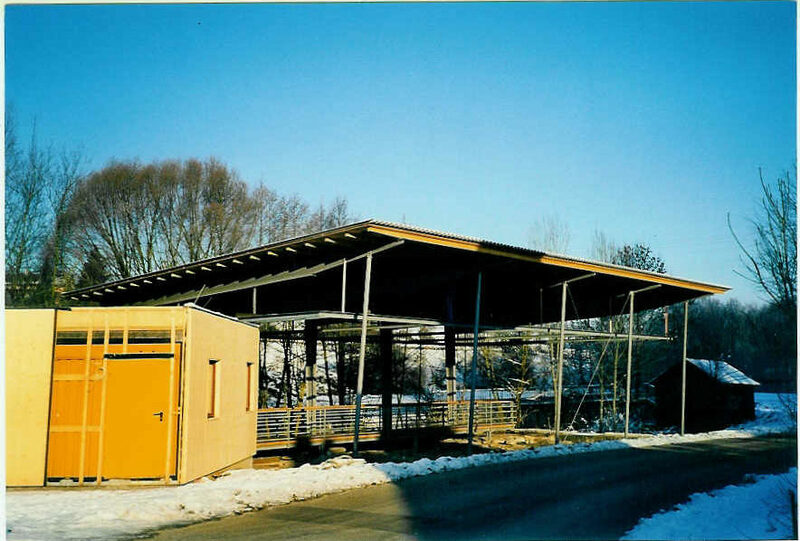 Finally on April 16th 2005 the Concentration Camp Memorial Vaihingen was opened ceremonially in the presence of guests from France, Israel, Canada, the Netherlands, Poland and the USA. At the moment plans are turned into reality to establish the third module – a seminar and convention room. Construction works will start in early 2017. On 23rd September 2017 the newly built seminar room was inaugurated with a small celebration. 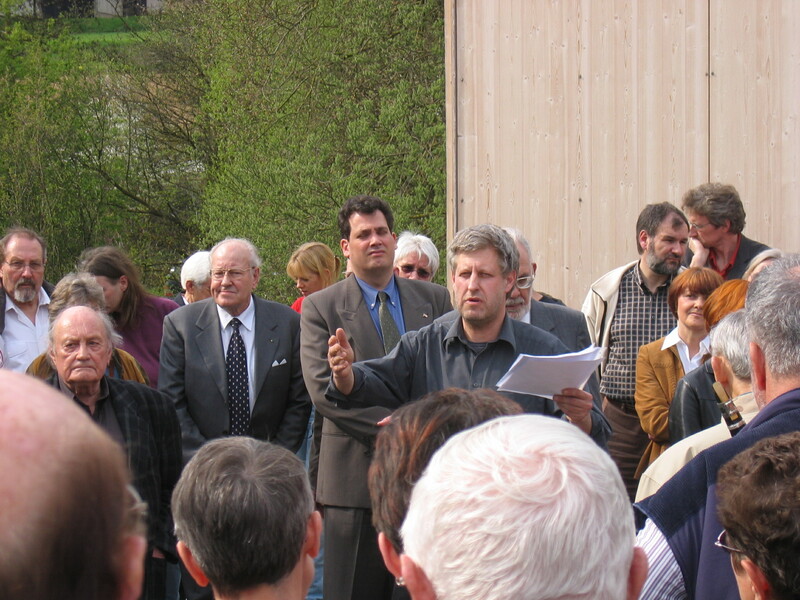 Around 40 invited guests, including County Mayor Dr. Rainer Haas and Lord Mayor Gerd Maisch, representing Ludwigsburg County and the City of Vaihingen/Enz – the strongest supporters of the Memorial – were informed about the origins of the Memorial and the seminar room and were able to see for themselves the opportunities the seminar room offers. It is a place that can be used for staging events, further training courses and as an alternative for guided tours. Its modern technical equipment means it can also be used, for example, for film presentations. September 2017: The construction of the memorial site is completed by the construction of the seminar room. During his welcoming remarks, Bernhard Freckmann, spokesman for the management board, refers to the short construction period of only 7 months. 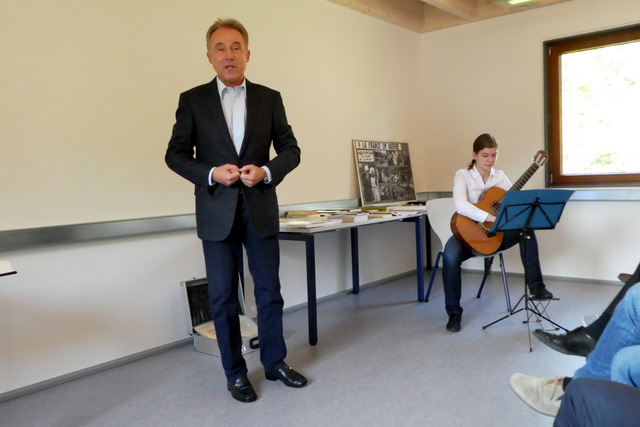 County Mayor Dr. Rainer Haas supported the new building in the County Council and with the Kreisparkasse Foundation. 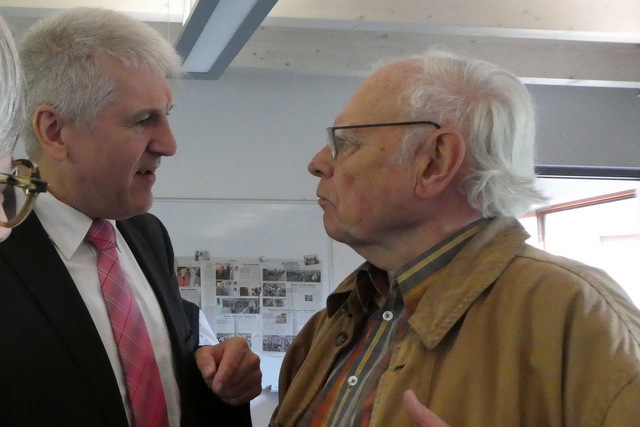 Lord Mayor Gerd Maisch in conversation with Dr. Manfred Scheck, the Vaihingen/Enz Concentration Camp Memorial’s founding member and for many years spokesman of its management board. The multi-functional seminar room is the final important element rounding off the Memorial plan. 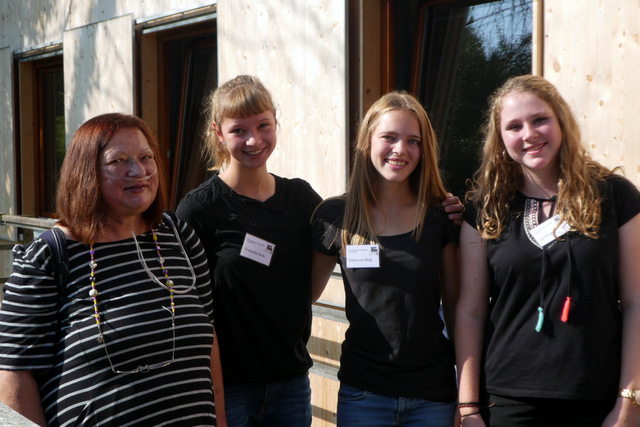 Brigitta Isermeyer with guides for young people (pupils of the Friedrich-Abel Gymnasium) in front of the seminar room.